MARSHALL + BRYNA | MARRIED! 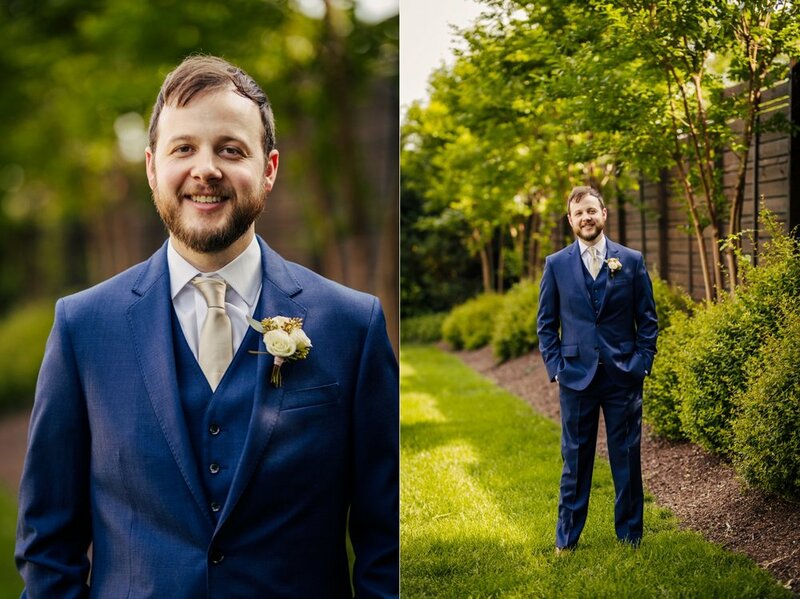 In the heart of downtown Nashville, late spring burst into bloom as we celebrated the wedding of Marshall and Bryna at the beautiful Cordelle. M + B's romance has read like a fairy tale, from their first encounter at a jewelry store on Valentine's Day (adorable, I know! ), to their flawless wedding, where no detail was overlooked. We were so impressed by how personal the touches were--they brought crystals from their home which really made the table decor! One of the most heartwarming memories was the dance Bryna shared with her dad. It was such a sweet and emotional moment--there was not a dry eye in the room. During the reception, we were able to sneak off and steal a few last pictures beneath a perfect sunset on the pedestrian bridge nearby. Well-wishing passerbys joined in on the celebration with honks and cheers of congratulations. We couldn't be more honored to share in this unforgettable day. Thank you to Erin Lennon from Without a Hitch for coordinating the day! ENGAGEMENT SESSION: Marshall + Bryna | Engaged! KASEY + JOHN | MARRIED!